Named for one of ISQOLS former presidents and a preeminent scholar in the field of quality of life research, contributions made to the “Alex C. Michalos Lecture Fund” will permanently endow a series of lectures on “advances in quality of life theory and research“ to be delivered as part of ISQOLS international conferences. Alex Michalos is a Professor Emeritus with the Political Science Department at the University of Northern British Columbia. He has been teaching social sciences and philosophy since 1962, with 28 years at the University of Guelph prior to coming to UNBC. He has published more than 23 books and over 95 refereed articles, and founded or co-founded 6 scholarly journals. He is the President of the Canadian Commission for UNESCO’s Sectoral Commission on Natural, Social and Human Sciences, and a past President of Academy II (Humanities and Social Sciences) of the Royal Society of Canada, International Society for Quality of Life Studies and of International Society for Philosophy and Technology. 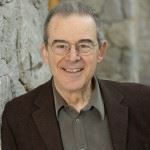 Alex Michalos has been a consultant to many federal, provincial, regional, and municipal government departments and agencies in Canada and other countries, and his work has been translated into Japanese, Chinese, German, French, Spanish, Italian, and Polish. Deryck Thompson Award for Community Social Planning (2006) from the Social Planning and Research Council of B.C.